Laser Skirmish is a high-tech sport where players wear computerised vests and have handheld phasers and attempt to achieve a high score by tagging other players, base stations & other targets within our amazing multi-level arena. How do you play Laser Skirmish at Code Red? After players put on their game packs and have been briefed, the game is started by one of our Marshalls. The pack is activated and allows the player to fire their phaser at opponents and devices within the Arena. Each pack has sensors on the phaser (Front and back of the pack and on the shoulders). Tagging these areas will gain points to the attacking player while deactivating the tagged player for a few seconds. After the game has finished, the packs shut down automatically and players return to the armoury room. Score information is downloaded from the packs to the central computer and displayed on the scoreboard. What protective clothing or footwear is required? We recommend that players wear a shirt with sleeves (not a singlet) as our vests are made of a commercial grade material. We insist on players wearing enclosed shoes (Open toe shoes, sandals, thongs and bare feet are NOT PERMITTED). How many people can play at Code Red Laser Skirmish? Code Red can accommodate up to 30 players in each game. Are there any age restrictions on playing Laser Skirmish? Code Red has a minimum age of 6 years old. (Children 6 years old can play if accompanied by an adult). There is no maximum age to play the game – even grandparents can have a go. Players under 16 years of age will need an adult (18 years or old) to be on the premise for the duration of the event. Do you need to be physically fit to play Laser Skirmish? Laser Skirmish can be played at your own pace. There is no reason to be rushing around the areas (in fact, we don’t allow you to run). As long as you are comfortable with light walking for 15 minutes and you can walk up our ramps, then you’re probably fit enough to play. Of course, as only you can be a judge of whether you are able to play – the final responsibility rests with you. Is Laser Skirmish played in the dark? Laser Skirmish is played in a darkened environment, but it is not pitch black. The arena is well lit with backlights which allow the fluorescent paints & materials to glow brightly. Your eyes soon become adjusted to the light level so you are able to see quite well. Are protective glasses worn during play? No. The lasers used in the game are very low power and only flash for a very brief time. The equipment has been tested to meet appropriate standards of safety for lasers around the world. I have played Paintball – does Laser Skirmish also hurt when you are hit by another player? No. Laser Skirmish is harmless. The only way you know you have been tagged is when your pack tells you ( vibrates) and it has shut down. Can we play Laser Skirmish as a team? Yes. 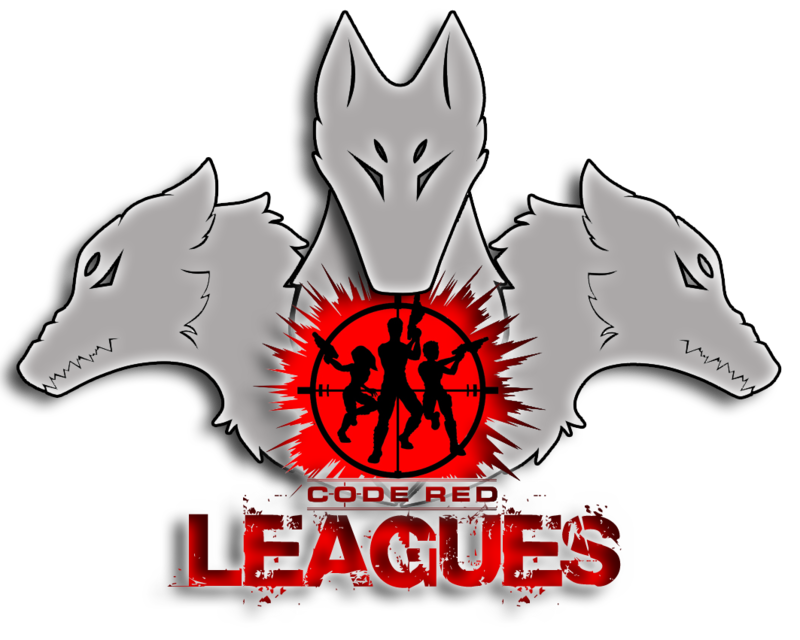 Code Red Laser skirmish may be played as either an individual game or as a team game. We can play up to 7 teams at a time. It enables players to think about tactics & teamwork.